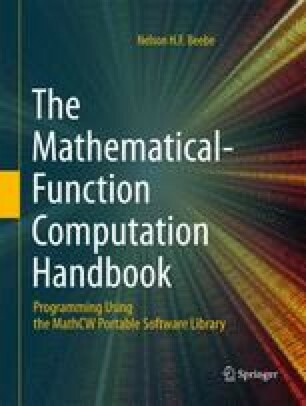 Prior to the 1999 ISO C Standard, no standard programming language offered a uniform way to access features of the floating-point environment. Until the advent of IEEE 754 floating-point arithmetic, no such access was even possible, because almost none of the older floating-point systems have programmable rounding directions or precision control, and floating-point exceptions are not dealt with by setting programmer-accessible flags, but instead are trapped by software interrupt handlers that set underflows to zero, and usually terminate the job on overflow or division by zero. Historically, most numerical software has been written without regard to exceptions . . . , and many programmers have become accustomed to environments in which exceptions cause a program to abort immediately. — Sun Microsystems, Numerical Computation Guide (2000).